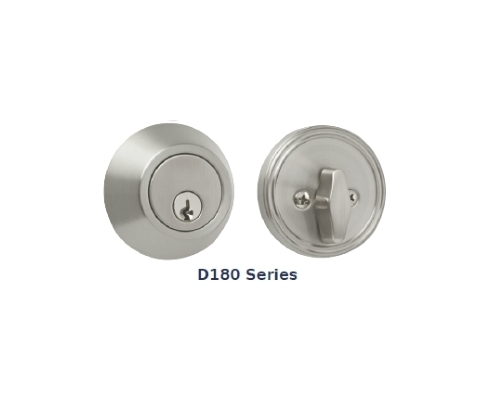 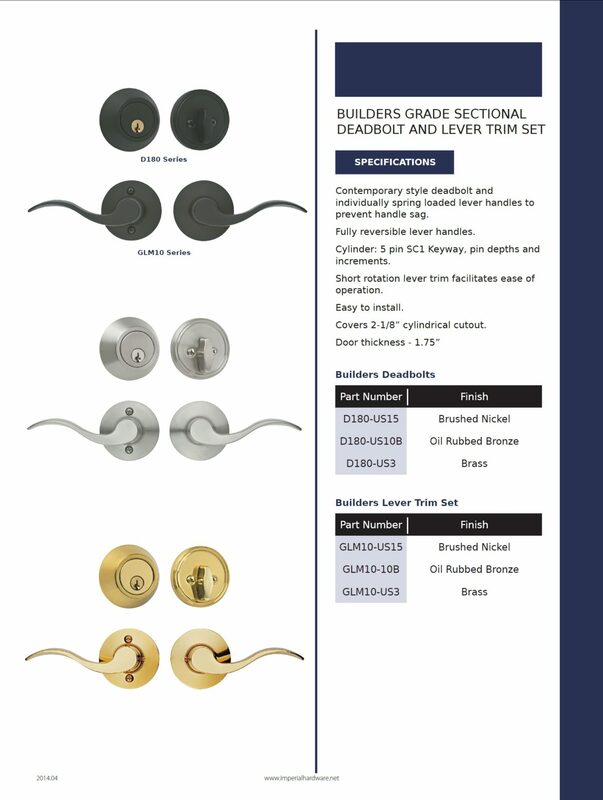 Contemporary style deadbolt and individually spring loaded lever handles to prevent handle sag. 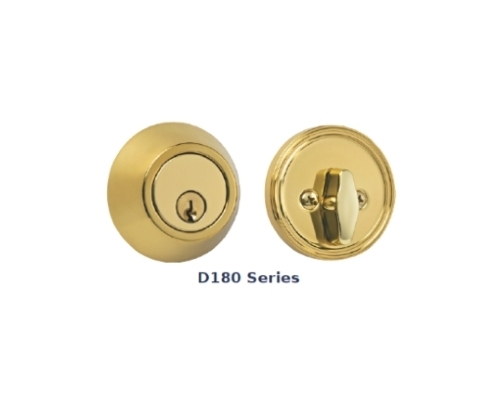 Cylinder: 5 pin SC1 keyway, pin depths and increments. 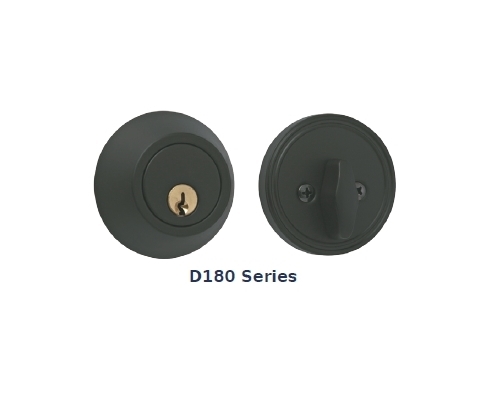 Short rotation lever trim facilitates ease of operation.